SHILLONG: Two Megh-alaya Energy Corporation Limited (MeECL) Engineers, kidnapped by GNLA on January 24, arrived here on Sunday after being let off by kidnappers on Saturday night in East Garo Hills district. The outfit released unconditionally the two MeECL engineers – Apus Pohthmi and Boniface Majaw — at a jungle near their official quarters at Rongkhon, 7 km from Tura. The engineers reached Shillong on Sunday evening to be united with their families. The families of the engineers welcomed them with prayers and tears. They were formally received by their MeECL colleagues. A tired looking Pohthmi said they were treated very nicely by the members of the rebel outfit during their 11-day captivity. Though the militants had treated them well, fear about what will happen next had tormented them. “Despite their good treatment, we were going through the most difficult period of our life since we were not sure about our future,” Pohthmi told reporters here on Sunday. Echoing a similar view, another abducted MeECL engineer Boniface Majaw said they (GNLA militants) served rice and chicken. 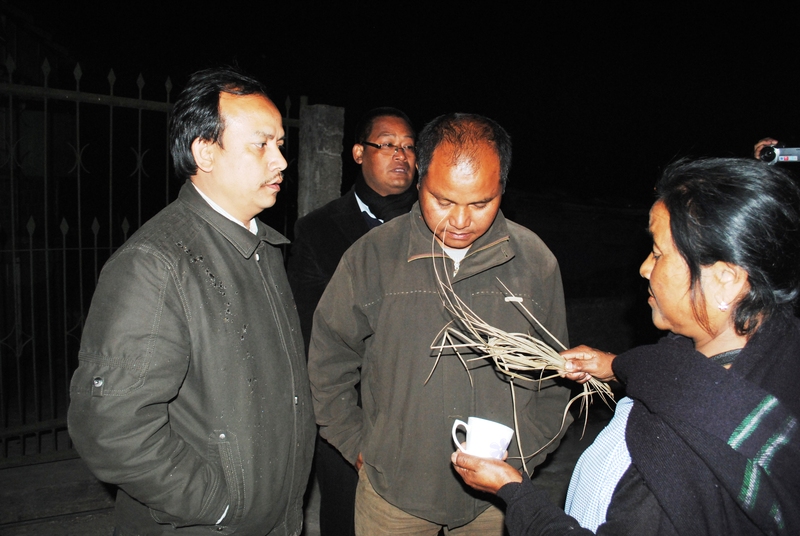 “Since Pohthmi is a diabetic, they regularly gave him red tea without sugar,” Majaw said. He said the GNLA militants used to shift them from one place to another frequently. Majaw said their captors prayed before every meal and also before their release. “Four GNLA rebels continuously accompanied us,” Majaw said adding that one of them was an area commander ZR Marak and the other one was Camphed CH Marak, an action commander. Speaking about their release, he said that they were made to walk about 30 kilometers before they were let off. “The GNLA cadres accompanied us. They told us to leave only when they were very close to a motorable road,” the engineer said. “We reached our official quarter at Rongkhon on foot,” he said. When asked why they were abducted, Majaw said the GNLA was not happy with the prevailing power scenario in Garo Hills. He said the outfit wanted electrification of all the villages besides regular power supply in Garo Hills. The duo, however, denied paying any ransom for their release. Meanwhile, the MeECL employees under the banner of the different association and unions have thanked all those involved in the safe release of the two engineers.